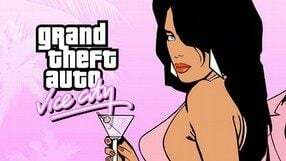 The fifth major installment in the massively popular action game series developed by Rockstar North in cooperation with Take Two Interactive. Grand Theft Auto V is set in a fictional city of Los Santos (based on Los Angeles). 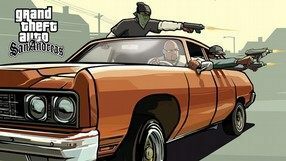 The story revolves around adventures of three characters: Michael De Santa, Trevor Philips, and Franklin Clinton, men infamous for brushing up against the law. The game’s creators stayed true to the franchise tradition of sandbox gameplay model, giving players an unparalleled freedom of choice when it comes to completing missions and moving around the virtual city. The game's budget amounted to 360 million dollars, a record number for a video game. Another entry in the bestselling series of action-adventure games. 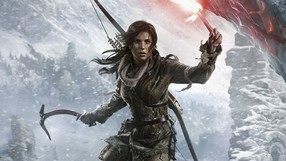 It is also the third entry in the saga about the beginnings of Lara Croft’s career that started in 2013. In Shadow of the Tomb Raider the female protagonist journeys to Latin America, where she discovers mysteries hidden within ruins and solves the mystery related to the Order of Trinity and the research conducted by her father. The fourth installment in a best-selling action game franchise. 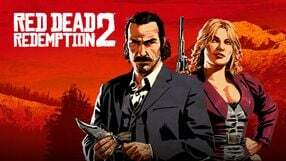 The title was developed by Rockstar North Studios under the supervision of Chris Sawyer. 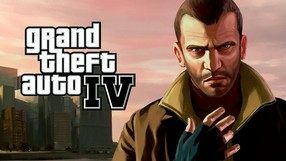 The protagonist of Grand Theft Auto IV is Niko Bellic, an immigrant from Eastern Europe who recently came to America, where he starts a career in the criminal underground. The sandbox gameplay model gives the player much freedom in exploration of Liberty City, a virtual metropolis, where you can move around using various vehicles (cars, motorbikes, and helicopters, among others). How the story unfolds depends on the player’s choices regarding order in which the missions are completed. Apart from single player gameplay, Grand Theft Auto IV offers online or LAN multiplayer for up to 32 people. 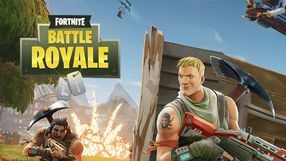 The second installment in the popular action game series (with RPG elements) that revolve around multiplayer experience. 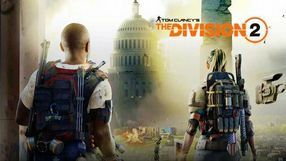 Tom Clancy's The Division 2 is a result of cooperation between Ubisoft Massive and other development teams owned by the French publisher. The game is based on the modified Snowdrop Engine, thus the visuals are of very high quality. The fourth major installment in the post-apocalyptic RPG series launched in 1997 by Black Isle Studios and Interplay. 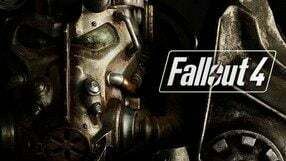 Starting from the third part, released in 2008, Bethesda acquired the rights to the franchise and took the reins of the subsequent production set in the cult post-apocalyptic universe. The game’s style is reminiscent of its two predecessors, in which – unlike in the first parts of the cycle – we experience the events from first-person perspective. The plot takes us back to the nuclear wasteland, where the survivors are forced to constantly fight for their lives. Fallout 4 features various new locations and characters, and a whole variety of plot quests and challenging opponents. 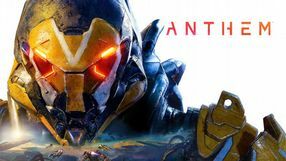 Anthem is a science fiction RPG with MMO elements developed by BioWare Edmonton, creators of games like the Dragon Age series and Mass Effect trilogy. The game takes place on an alien planet where humanity uses a gigantic wall to keep itself safe from monsters. We play as the so-called Freelancer, a person who goes behind the wall to study the planet and protect humanity from many potential dangers. Gameplay focuses on the exploration of the game's dynamically changing world, story missions, and third-person combat. Special exosuits, Javelins, play a crucial role in the game. They are divided into several different classes and can be upgraded and modified. Anthem focuses more on co-op than on single player and uses the popular Frostbite engine. A remake of the second part of the famous survival-horror franchise Resident Evil, which debuted on the PlayStation console in 1998 and was later ported to other consoles and PC / Windows. 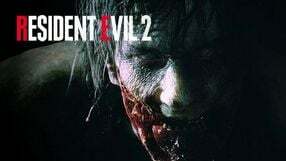 Resident Evil 2 Remake was developed by the Capcom’s leading team, R&D Division 1, for the latest gaming platforms. The game is based on the original plot with slightly modified mechanics. The action takes place a few months after the events of the game’s first part, when after a moment of calmness, a deadly zombie epidemic once again plagues Raccoon City. The player follows the story of a rookie police officer Leon S. Kennedy and a young girl – Claire Redfield – who arrived in the city in search of her brother. Early into the story, the two protagonists are separated and from there on the action is seen from two different points of view, and the characters’ stories develop slightly differently. 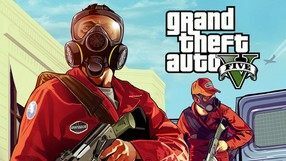 A free expansion for the bestselling action game Grand Theft Auto V developed by Rockstar North. The expansion introduces multiplayer mode based on the Internet network. 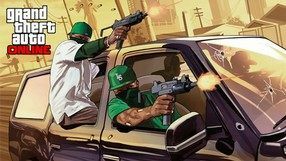 The players can create their own avatars and together with friends explore the city of Los Santos. Up to 16 players can participate in the game simultaneously. The developers prepared many activities for them. In addition to typical online modes (like deathmatch), the players can complete missions in cooperation mode and participate in such activities as street racing, golf or even parachuting. The virtual money earned during the game allows the players to change the looks of their character, buy weapons, vehicles and apartments. The fourth part of the hugely popular action RPG game series in a space-opera setting. 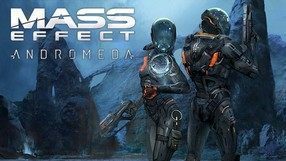 BioWare Montreal, the development studio that helped create the two previous installments took the reins of Mass Effect: Andromeda's development. The game's story is not associated with the trilogy about Commander Shepard's fight against the Reapers, offering instead a completely separate plot featuring new characters and locations. Using the proven pattern, the creators of Mass Effect: Andromeda put the focus on a spectacular TPP action experience and moral choices that have a direct impact on the course of events. The technical side of the game is based on the third-generation Frostbite engine, providing high-quality audiovisuals. 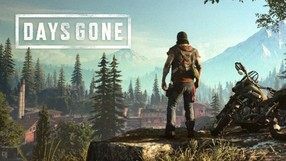 Another installment in the popular series of action adventure games, once again developed by Crystal Dynamics, the studio that brought us the successful reboot of the franchise. In terms of plot, the game continues the story arcs started in the previous part. Again we accompany the young, although tougher and more ruthless, Lara Croft. Unlike in the previous game, this time we visit different parts of the world, exploring larger and more open places. 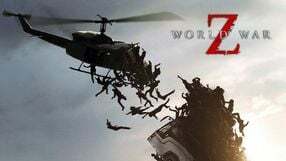 As for the mechanics, the production combines the survival aspects of its predecessor with the exploration of the many tombs and catacombs, which is the hallmark of the series. The gameplay is therefore full of numerous stealth elements as well as purely arcade sequences, including open exchanges of fire. Lara also uses a number of brand new weapons and gadgets. 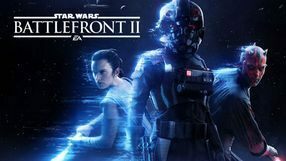 Designed for eighth-generation console, the production features high-quality graphics, which represents an important rise in quality as compared to the previous parts of the series. 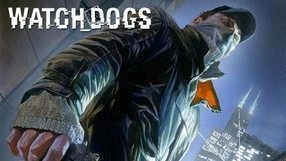 A sequel to Watch Dogs, a sandbox action game from 2014, in which the players assume the role of a former criminal and use his hacking skills as well as a number of gadgets to control the city infrastructure as well as private communication devices. Watch Dogs 2 develops the key gameplay elements of its predecessor; the action, however, was moved to an entirely new city, and now takes place in San Francisco. The game was developed by Ubisoft’s internal development studios lead by Ubisoft Montreal. 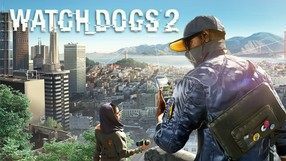 Contrary to first installment, Watch Dogs 2 was created solely with PCs and the 8th-generation consoles, such as PlayStation 4 and Xbox One, in mind. The third installment in the popular sandbox gangster series, launched in 2002 by Czech studio Illusion Softworks. Newly created Hangar 13 team, assembled within 2K Games, was in charge of this production. The team included the developers who made the first two parts of the cycle. Unlike those installments, this part takes us to America during the second half of the twentieth century; the main characters are of course members of an Italian crime family, operating in the state of Louisiana. 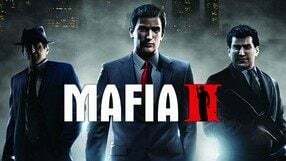 In terms of mechanics, the game does not differ significantly from its predecessors, offering an open world bustling with life, and a series of missions that allow us to participate in shootouts, car chases, and other illegal activities that are typical of the criminal underworld. There is also a bunch of side missions and additional activities, which we can take up in between our tasks. The tenth iteration of adventures of Lara Croft, released as a reboot of the original, cult action-adventure series - Tomb Raider. The game was developed by Crystal Dynamics Studios under the auspices of Eidos Montreal. Their goal was to re-imagine the heroine in a new, grittier way. 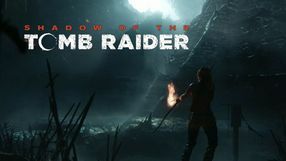 The game is set on an island near the coast of Japan, where young Lara Croft came in search for relics of ancient civilizations. Unfortunately, she gets shipwrecked during a storm. The protagonist survives, but now she has to fight for survival in a mysterious, deadly place. 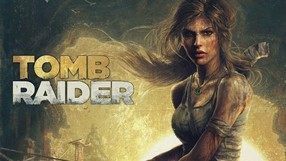 As compared with the previous installments, the new Tomb Raider offers much greater freedom of exploration, and introduces some innovations in gameplay mechanics, such as crafting and a character progression system. The game is powered by the very efficient Crystal Engine, able to generate high quality visuals. 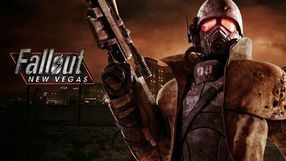 Fallout: New Vegas is a spin-off to the famous post-apocalyptic cRPG series. The game was developed by Obsidian Entertainment, studio founded by ex-employees of Black Isle Studios (the creators of Fallout and Fallout 2). The story in Fallout: New Vegas focuses on a conflict between two factions: New California Republic and Caesar’s Legion, with the mysterious Mr. House and the citizens of New Vegas in the middle. The player takes on the role of a courier that saved from imminent death by a friendly robot named Victor. In terms of gameplay mechanics, the game copies the solutions from Fallout 3. Depending on your preferences, you can play either in first or third person perspective. Moreover, a well-proven combat system called V.A.T.S. comes back, letting you pause the game and select a part of enemy body you want to aim at. The visuals are powered by a modified version of Gamebryo Engine, previously used e.g. in The Elder Scrolls IV: Oblivion. A sequel to the popular gangster game - the first Mafia was released in 2002. This new title was developed by the creators of the original game – also known for games like Hidden & Dangerous and Vietcong – working for the 2K Games company. The second part tells a completely new story; however, it contains multiple references to the previous title. 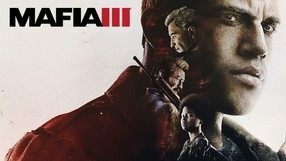 The protagonist is a man named Vito Scaletta, who returns to his home city of Empire Bay after the end of Second World War; the city itself is a virtual creation heavily inspired by New York. Trying to find himself in a new, peaceful reality, Vito picks up jobs for the local criminal underground, gradually climbing up the mafia hierarchy. Apart from traditional shootouts with rival gangs, kidnappings, and getaways, there are lots of extra attractions, such as clothing stores and car customization options. A new game engine significantly improved the graphics and features like day and night cycle. Another entry in the popular series of action games, in which the players assume the role of the assassin for hire known as Agent 47. 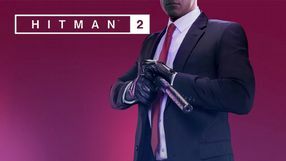 In Hitman 2, the protagonist is chasing the mysterious client. 47 must eliminate the target and destroy his criminal network. The game takes the players on a journey to various parts of the world, including tropical forests and Miami. In addition to a story campaign, the game features a cooperation multiplayer mode. A third person perspective (TPP) action game developed by Ubisoft company’s subsidiaries led by Ubisoft Montreal. Watch_Dogs is set in the near future in Chicago, one of many American metropolitan areas, whose infrastructure is managed by the Central Operating System (CtOS). The game’s protagonist is Aiden Pearce, a talented hacker able to hack almost every electronic device and use it to provoke a specific reaction or influence other people’s behavior. Gameplay is set in an open world, providing the player with the freedom to complete the missions as he sees fit. Gameplay combines elements of a third person shooter, stealth, and action-adventure game. Watch_Dogs also includes a multiplayer system with a unique feature – other players’ actions can influence the single player campaign. A TPP sandbox action game, based on the cult film franchise by George Miller. The production was developed by Swedish studio Avalanche in collaboration with Warner Bros. Interactive. 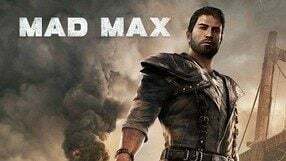 The plot of Mad Max is not an adaptation of the blockbuster movie, presenting instead a completely separate story set in a post-apocalyptic world in the near future. Players get an opportunity to assume the role of the titular character. After losing his legendary V8 Interceptor, the hero traverses the wasteland in search of parts needed to construct a new vehicle. The creators provided the players with a large degree of freedom when it comes to exploration of the game world; they are also given a host of side quests to choose from. The visual side of Mad Max is a clear reference to the distinctive aesthetics of the movie. The next installment in an action game series that originated in 2001. The series focuses on a famous American special squad known from the novels by Tom Clancy. The game was produced by a Parisian subsidiary of the Ubisoft company, also responsible for the previous installment, Future Soldier. The game is set in Bolivia, where a dangerous drug cartel spreads terror, violence, and lawlessness, unrestrained by the corrupted government authorities. 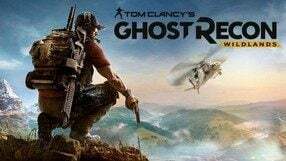 Ghost Recon squad is sent into action in order to eliminate the key members of the criminal organization. Wildlands is revolutionary for the series, as it is the first time in the franchise's history when it takes the players into a vast, open world, which can be traversed on foot or by various vehicles – ground, aerial, or naval – resembling such franchises as Far Cry or Just Cause. The game was designed with both single player gameplay and multiplayer co-op for up to 4 players in mind.